A Brief History of ASPI_ME . . .
On Monday, July 6th, 1998  a bit more than one year ago  I created a blank assembly language source file which soon became the freeware program: ASPI_ME. I created it because many users of my other freeware offering of the time, TIP ("Trouble In Paradise", for testing Iomega drive products) were encountering all kinds of problems with ASPI driver support under Windows. So, I downloaded some freely available ASPI drivers from Adaptec's web site (anyone could download them) and built them into a pretty cool installation utility (I called it "ASPI_ME" since it would ASPI you.) Well, ASPI_ME seemed to do everything just right whereas Adaptec's and everyone else's ASPI drivers and installation programs seemed to often not work (for reasons I never explored or understood). But ASPI_ME always just worked. Before long, the world was beating a path to this web site to snap up copies of ASPI_ME for other reasons. And I mean thousands and thousands of copies! Suppliers of other utilities and hardware which needed ASPI support were telling their customers that they could get them here from me . . . as indeed they could, and did. The Return of ASPI_ME. 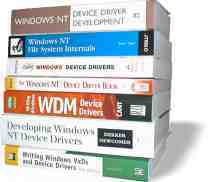 . .
Also, I presumed that the forthcoming release of Windows NT (Windows 2000) would naturally incorporate its own ASPI drivers (since Win95/98 always has, even though they are pretty much useless) so that no one would need any drivers from me anymore . . . but to my surprise I found that Windows 2000 won't have ASPI drivers either! Been doing my homework ... So I began writing my own ASPI drivers. It was while I was writing those drivers (see the user-interface to the drivers below) that I hit upon the idea of testing people's Internet security when they came to this web site . . . and ShieldsUP! was born. I have never returned to the ASPI driver project. A Sneak Peek at the Future . . . The image above shows an old version of the "Programs" tab of the new ASPI ME. be viewed at any time by the main ASPI ME installer/monitor/viewer utility. My drivers would be able to DYNAMICALLY MONITOR and actually IMPROVE the operation of ASPI client software in a number of ways. So on one hand they work with YOU to help diagnose and eliminate ASPI-related problems, and they work with your PROGRAMS to help them get what they need from the system. Find out when the ASPI drivers are ready . . . I have no idea when or if I'll ever get back to this, but I would love to. I am also always on the lookout for an ASPI driver solution. If I create one, or find one, I'll let you know. To keep informed of my work on this and other projects, check out the GRC and my personal blogs, and consider subscribing. All the info is on our "News" page.